By now, most of you probably know that while I love to cook... I am all about practical recipes. My most favorite meals are ones that can be prepared in a single dish with absolute minimum dishes to clean. If it's easy to cook & doesn't require me to "babysit" it~ even better! This, my friends... has got to be the easiest dinner I've ever shared on my blog. You don't have to be a chef to prepare this one. All you need is a knife, a baking dish, and an oven- and you're set. No flipping pieces of meat, poking veggies for done-ness, or babysitting a stove. Simply chop, dress, mix, & bake. I also love how versatile this dish is. Just change up the veggies, vinegar, and/or spices to give it a whole new theme. One of my friends over on Instagram gave the idea of using peppers, onions, and cilantro, and topping with avocado or guacamole for a Mexican dish... Love it! This dish is meant to be stress-free, so don't worry about perfecting the cuts of your meat & veggies or spicing it to absolute perfection. Somehow it always turns out perfect, with the meat cooked through (yet not overdone) and the veggies perfectly tender. & You can always add a little extra salt & pepper (or hot sauce!) once you dish it up. Enjoy, and please comment below or post a picture on Instagram (tag me @justjessieb) if you make it! *Makes 4-6 servings, depending on your portion size. While the oven is heating, combine the EVOO, vinegar, and spices in a large bowl. This is your "dressing". 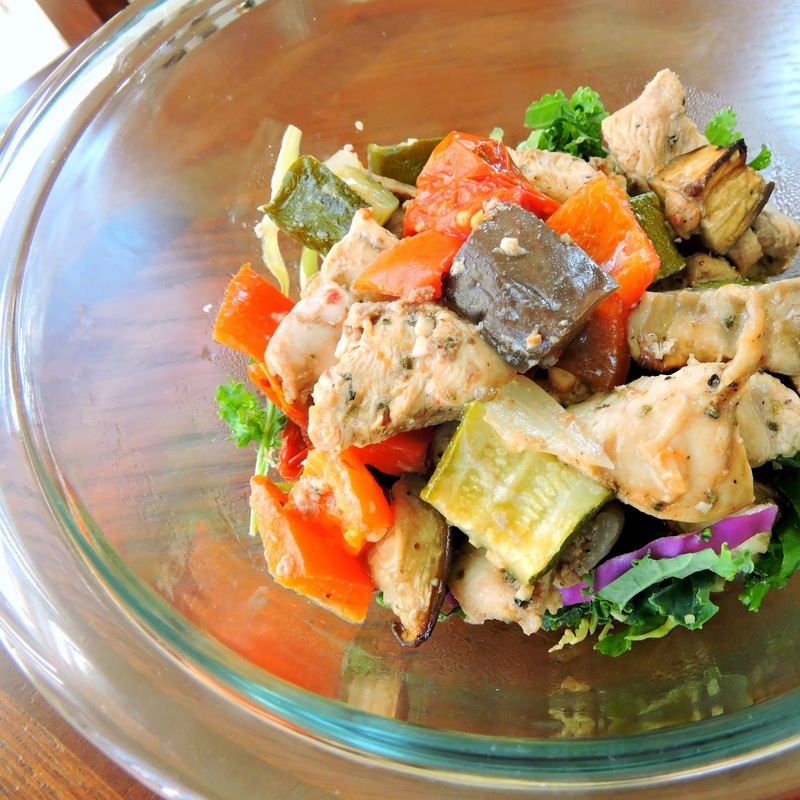 Cut your chicken into 1" cubes, tossing the pieces into the "dressing" bowl as you go. Give it a good mix to coat the chicken. 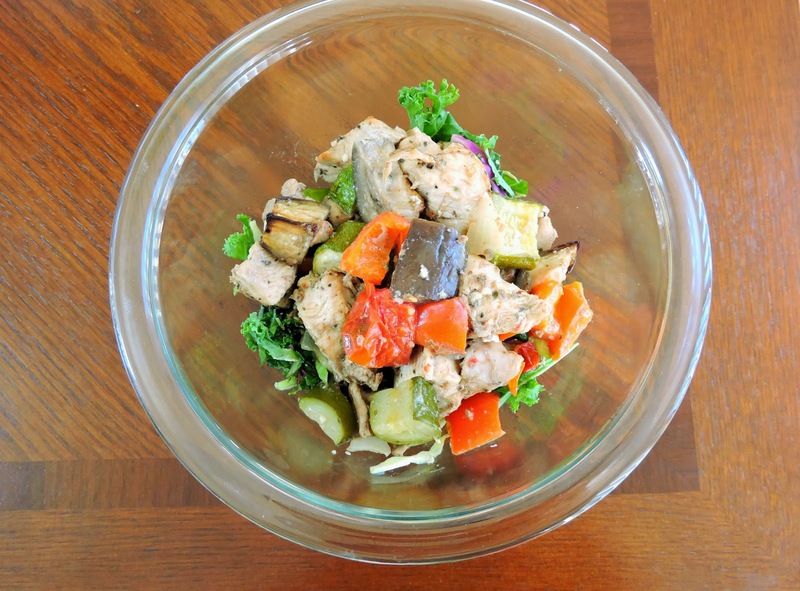 Do the same with your veggies (cut into similarly-sized pieces, & add to the bowl as you go). 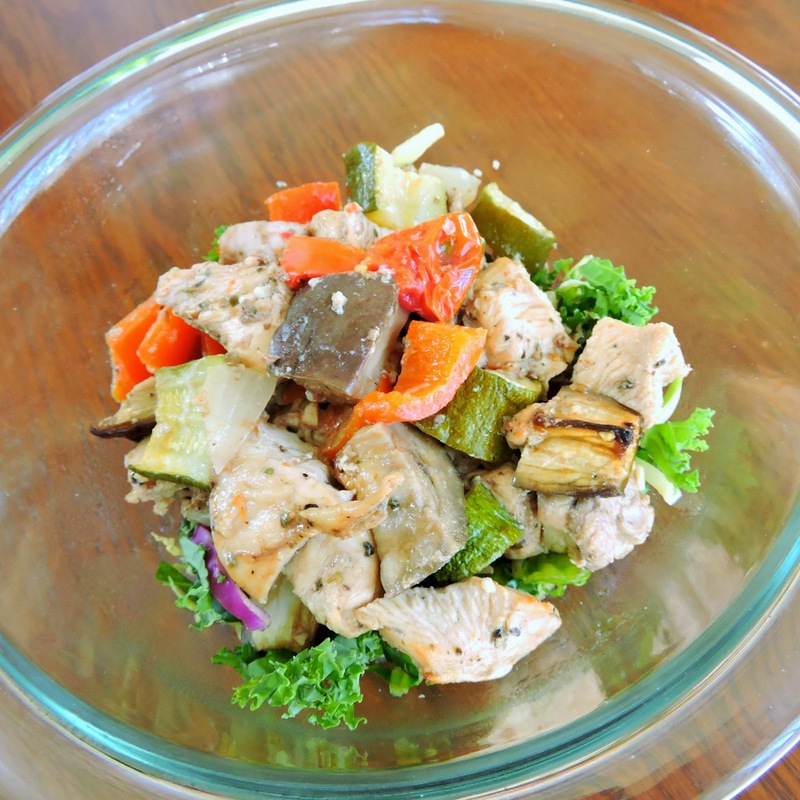 Stir the mixture one last time so that the chicken & vegetables are evenly coated by the dressing. Transfer the mixture to a large baking dish (9x13") and pop it in the oven. Bake for 45 minutes. That's it! Serve over greens, cauliflower rice, or veggie noodles for even more veggies, or eat it on its own. Reheats perfectly for leftovers too!